With Easter approaching, we all start looking for some great Easter decorating ideas for our household decorations. Although Easter is a religious holiday at heart, it also signifies family gathering and spend some fun time with friends. The house should have a festive look. 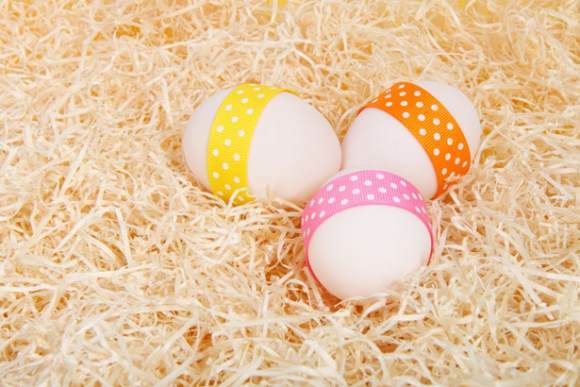 The eggs need to look special and even the house too should remind you that it is Easter time. 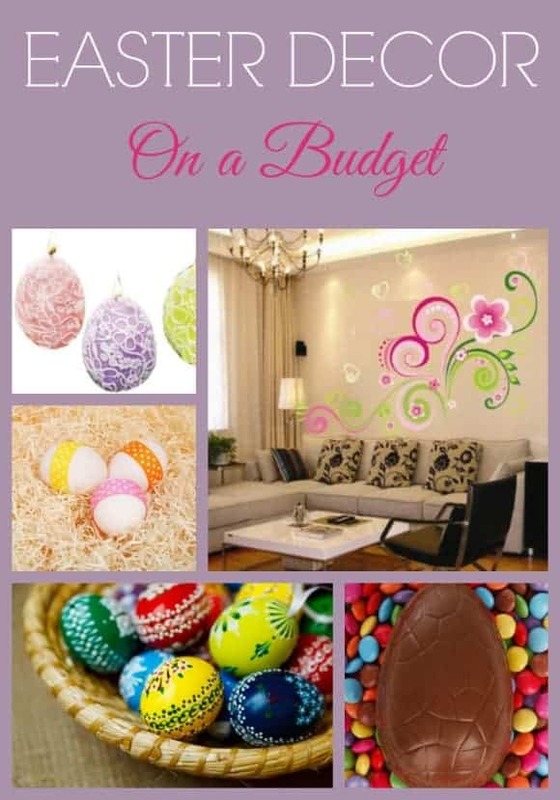 Let us take a look at some of popular and delightful Easter decorating ideas that you can make use of this year on Easter. When Easter rolls in, the spring has already set in and we are not short of flowers and the varieties. We can place those gorgeous blooms on our tables and in other corners of the room to add a festive look. There are grape hyacinths, lilies and irises to pick from. You can make a special bouquet of eggs and flowers and keep them as a decoration on the center piece. 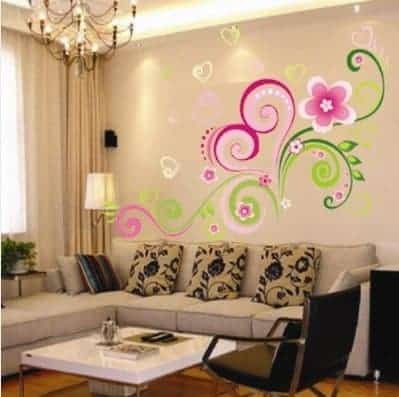 If live flowers aren’t for you, this peel and stick wall decal makes a really cute spring-time decor item that doesn’t require watering! You can easily get colorful egg shaped candles in the market. Take them out and use them for special Easter dinners. They will make for a lovely display and illuminate the table setting. Use candles in fresh spring hues to make the lighting more bright and attractive. 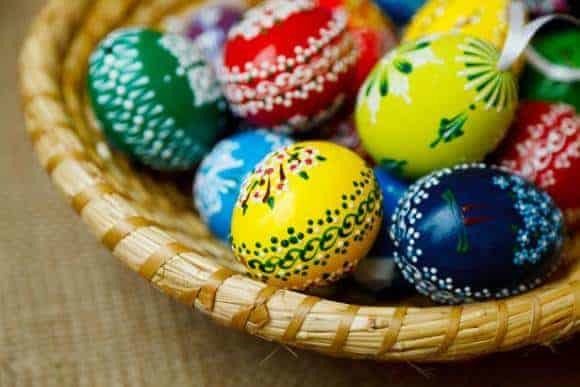 Easter decoration is simply not complete without those painted and decorated eggs. Start planning earlier and look for new ideas to make those eggs special. You can use paper, colors, laces, dyes, stencils etc. to create intricate patterns on the egg and one-of-a-kind decorations. How about ordering some Chocolate eggs from the Easter confections? You can make these at home too if you are good with chocolate making. Make a nest of chocolate with flakes and swirls. Use some dried flowers and hair grasses. Place chocolate eggs inside. 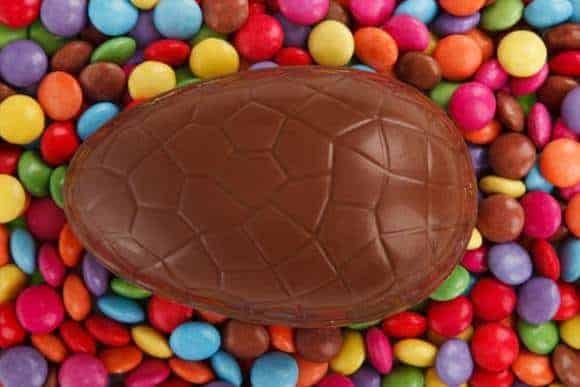 You can cover those chocolate eggs with golden or silver foil or leave them plain. Get the name of the guest or the family member engraved on each of the eggs to make the decoration even more special. Keep collecting eggshells while Easter is still a couple of weeks away. 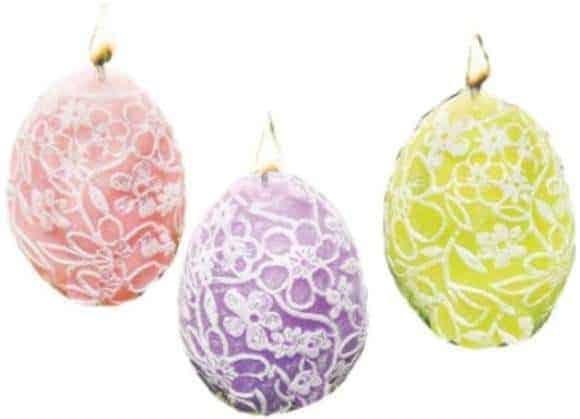 Color these blown out eggshells any way you want and hang them in strings on Easter. This will really add a festive look to your house. Decorate them in a variety of spring colors and textures. You can hang these strings of eggshells on the mantel or in the doorway. Go ahead and try out these wonderful Easter decorating ideas this year. There are of course plenty of other ideas too for decorating at Easter, but the above listed are sure shot winners. I love that wall decal!! So bright! Love the eggs. Thanks for the tips. I did like the look of the Egg-shaped candles, really nice. Decorating blown-out eggs is something that is a tradition in Germany, they then get hang from big twigs that are placed in a large vase with water when the twigs are just beginning to sprout leaves or blossom. It’s a beautiful decoration. these are some great ideas, I know I can do! Those are so pretty!!! Great ideas! Thanks for sharing your tips! I always buy one or two decorative items during the after-holiday sale, over the years I’ve built quite a low cost collection!